Can a leopard really change its spot? Crispin Barker’s formative years are not encouraging or conducive to making great choices. His environment and support system directed him as a young person but as a man, he must choose his own course. Is it possible to recover from a bad choice in life pursuits? 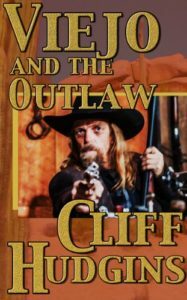 The outlaw trail leads to death, destruction, disillusionment, and a commitment to find a better life. Pursuing the goal presents many challenges and dangers. Following the outlaw trail is easy compared to living by a different code. Mexico offers a place to begin a new identity but those who occupy the area don’t want to allow changes to occur. In the process of seeking peace, he finds something that is more perturbing and confusing than he has ever faced before: they are the deep blue eyes of an Irish maiden. The other realization is even more profound, the kids are alive. Outnumbered and desperate Crisp must seek help from the law that is hunting him across the Rio Grande in Texas. He must face his demons and those deep blue eyes to find real peace.